We get a lot of tips here at WPCentral, some amazing, some lame and some that confuse us as we actually don't know every silly app ever made (which is why we pay attention to you guys). 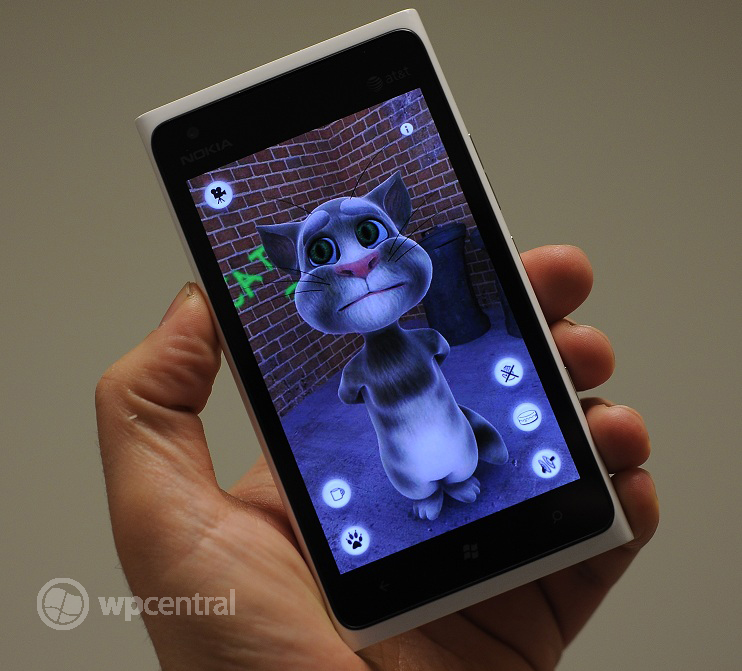 So tonight when we got an email from a reader named Amiel stating "Talking Tom Cat finally made it to WP7" we were a little perplexed. Fact is, we still are but yes, Talking Tom Cat is now on Windows Phone. What is Talking Tom Cat? It's one of those silly novelty apps that features a cartoon cat that you can pet, poke, prod and harass. Oh and he repeats everything you say back to him. In a funny voice. With 150,000 ratings in the iTunes store and nearly 400,000 ratings on Android (seriously?) there is something about Tom that people just love. Or maybe it's the kids. Either way, the app is now available on the Windows Phone Marketplace for the low, low price of $0. It's not our thing but hey, we're not here to judge so if you want it, you can pick it up here. Combined with the official Cleverbot app we guess Windows Phone is winning? Thanks, Amiel, for the tip!